This post continues from previous post. Earlier, I concluded that for me, the longer term purpose in life is certainly more important than achieving the "matrix-rigged" short term targets. Yet, having the longer term purpose in life is not sufficient also. For me, it is imperative to EVENTUALLY find the TRUE purpose of life. 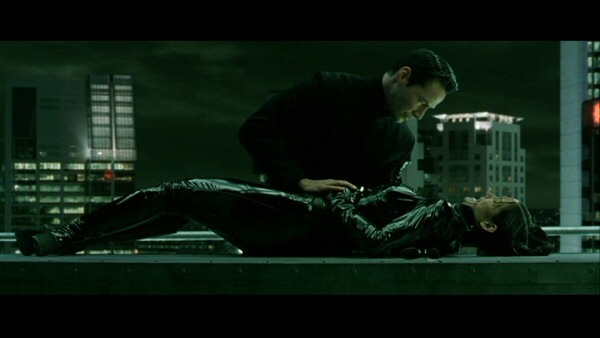 This is similar to Neo finding the “Source of the Matrix” to meet the Architect – creator of Matrix. And, ultimately to resolve the conflict between the machines and humans. Just like Neo, Morpheus and Trinity’s mission is to save mankind, the true purpose of life should be associated to helping or improving lives of yourself and the people around you. Apparently most "successful" people are very focus in their purpose in life. Nonetheless and contrary to common belief, even those who are extremely successful and focus in their purpose in life has NOT necessary find "enlightenment" and get out of the Matrix! Or in many cases, people will choose not to be unplugged from the Matrix, if they are wealthy and powerful. Why do you want to free from the Matrix if life is so good in the system? Success is not equal to enlightenment? Nothing better epitomize the statement “success is not necessary enlightenment” than Steve Jobs’ life story. Undeniably, Steve Jobs is one of the most successful businessmen of recent times. Mr. Jobs changed the world with his innovative multi-media hand-held device. Yet, after reading Jobs biography book few years ago, and later his passing away, I reckon that he left this world with regrets. That is the regret of not having to spend sufficient time with his loved ones. There are rumours reflected from facebook recently about Steve Jobs’ last words. The unverified article reveals that Steve Jobs said in his sick bed that he had reached the pinnacle of success and yet he has little joy and perhaps he should have pursue matters unrelated to wealth such as relationships, art, or a dream from younger days. The article then mentioned that the most expensive bed is sick bed with no health. It was also written that he promoted the importance of treasuring your love ones - your family, your spouse, and your friends. More importantly, treats yourself well and cherish others. With regards to whether the article is authenticated or not, it is not at all important as far as I am concern. More significantly, we should ask if the article makes any sense!. Apparently, below is the verified version from Walter Isaacson who written Steve Jobs’ biography. Guess it signalled the same sentiment of Jobs’ regret in life. It wasn't always thus. In the early stages of his career, Jobs, who was adopted, denied being the father of Lisa and insisted in court documents that he was "sterile and infertile". He acknowledged paternity when she was six, and they were later reconciled. What is Warren Buffett’s greatest regret? 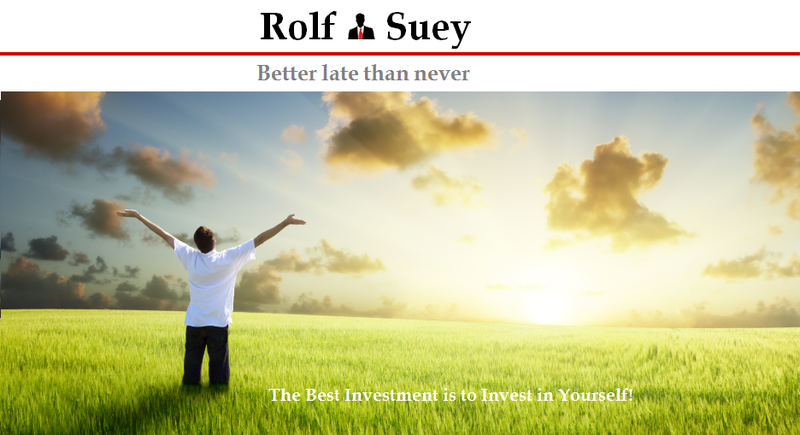 Not investing in Google or Microsoft? “It was definitely 95% my fault. ... I just wasn't attuned enough to her, and she'd always been perfectly attuned to me. She kept me together for a lot of years ... It shouldn't have happened." Neo reached the source and met the Architect. The Architect explained to Neo that after several failed versions of the Matrix, he added the “power of human choice” to the programming. This version worked but approximately 1% of the humans can reject the Matrix and get out of it. Later the Architect discovered that due to the concept of choice, the Matrix will eventually suffer a fatal crash, which is why he created the sixth iteration of Neo “The One” who can reboot the Matrix. 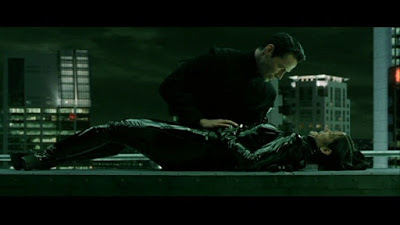 If the system crash, Neo can choose to 1) return to the source to reboot the Matrix and pick few survivors to get out of the Matrix to repopulate Zion 2) or cause the Matrix to crash and kill everyone connected to it including Zion. The sixth version of Neo has a main difference compared to his predecessors. That is - Neo’s deepest affection for Trinity! 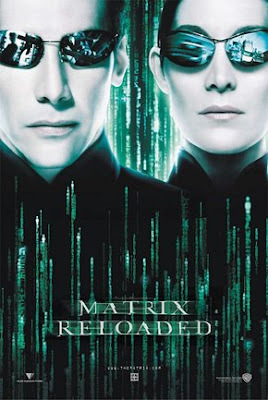 Neo leaves the Architect to save his love, and leaves the future of the Matrix in doubt. Unlike many successful entrepreneurs who choose to stay in the company as long as they could, Bill Gates, after being so successful in Microsoft choose to leave his formal duties as CEO at the age of 44 in year 2000. That is almost at the peak of his career! Gates last full-time day at Microsoft was in 2008 and he eventually stepped down as Chairman in Feb 2014. Why? Bill and his wife Melinda Gates' priority today is on charitable work to help the needy in which they set up a Bill and Melinda Gates Foundation in 2000. This is the true mission of life for them to help people in the world, after they had helped themselves to be the richest in the planet. Mark Zuckerberg’s purpose is to connect people all over the world. Looking at what he and his wife has done for charity after donating 99% of their wealth lately, and being totally enthralled by the birth of their baby girl, it seems like they had long before look at the Matrix from “outside in”. Just for information, it was not all smooth for the Zuckerbergs. Mark’s wife Priscilla Chan latest pregnancy was followed by three earlier miscarriages. Lee Kwan Yew true purpose as I believe is to ensure Singaporeans have a better life and I am pretty sure he did it and die without regrets. For all of them, one key reason to back their enlightenment is attributed to the Power of Love - the woman behind them. It can be so important for the women of your life to be you closest friends/ confidantes/ soul mates/ and wives! It is also noteworthy to know that the wives of three of the most “enlightened” successful men around, use to be the top brains in their classes! The power that can be harnessed and exuded from husband-wife combination is enormous! Not to be mistaken, it need not always to be your spouse, as long as they are your loved ones. It can be parents, kids, siblings or even very close friends. As long as it is the POWER OF LOVE! Evil will never triumph over good! On the other hand, Mahatma Ghandi purpose in life is to create better lives for others through non-violent and peaceful ways. And he will be forever remembered in great respect even after decades or even centuries. One comment: how do you know what adolf hitler is thinking? Actually if he didn't do what he did, all the Jews around the world won't get to go back to their homeland and have a country of their own. Everything is linked and everything is connected. Someone got to be evil then good will flourish. If you see things over the years and trace the roots of their origins, then nothing is really evil or good. Everything is where it should be and perhaps we are all actors in this world's stage. Tks. U r right to point out about Adolf Hitler. I agrees that everything happened for a reason. Seems like it is all part of the system. The architect creates a imperfect system, things happened that may cause a crash. Then came the re-programming to balance! Good to think so in depth. Fun and intriguing. Since this blog is also mainly for my kids, I presume they should never have the traits of evil even as actors/actresses of this world. haha, so I still advocate the need for the good cause! I am sure your kids will learn a lot about life from your blog posts in future. In the mean time we do the learning. Thanks for the compliment. Indeed, I agree to ur just world bias, and think that everything happens for a (good) reason. For the kids, I am just doing my bid as a father. Whether they will subscribe to my ideology is still a a mystery. As we all know, it's definitely easier to learn from our own experiences than when someone tell you so! Particularly harder when the one telling is the parent. What a smorgasbord of interesting facts! Just how do u manage to have so many vocab? U write it down n memorize when u see a new vocab? Care to share? I see the need to diversify, while still keeping the strong focus within these areas. haha. I watch this movie summery and its give me good information about machines thanks for sharing paraphrasing services uk .